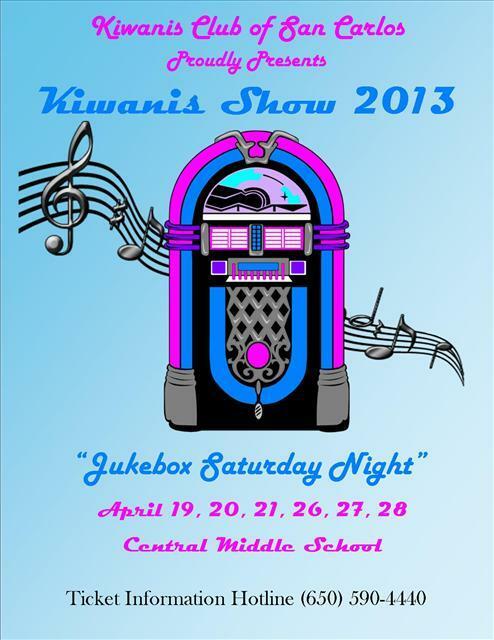 The San Carlos Kiwanis show, Jukebox Saturday Night, will be making its 2013 premiere performance on April 19th. Shows will take place April 19, 20, 21, 26, 27 & 28. Tickets are now available for this longstanding San Carlos tradition. Please click here to be taken to their site for ticket information. The San Carlos Kiwanis Club is committed to community service! Since 1947, San Carlos Kiwanis has donated labor and financial support to numerous causes in the San Carlos area, including the “Kiwanis Building” at Burton Park, a baseball field at Highlands Park, a Youth Center in Burton Park, college scholarships and sponsorship of children’s sports teams.